There are three ways a government can finance its expenditure (and where usually all three are being employed): taxes, borrowing and income from property. Taxes and borrowing are quite straightforward ( though we will dig deeper into the tax point later), but 'income from property' might need some additional explaining. Income from property basically refers to the income the government receives from for instance publicly owned enterprises, rent (eg. mining rights) and other forms of charges and license fees. When all of these are added up, they however only result into a very small proportion of the income of the government. In general, taxes will be where the major share of income originates, but is usually also not sufficient to cover all of the government's expenditure. As seen in the previous blog, the difference between government income and government expenditure is called the 'budget deficit'. In order to finance this gap, the government will turn to borrowing. As we all know, borrowing creates debt -- and as such, government borrowing will increase public debt. As the debt increases, so will the interest burden which also affects future generations as they will sit with the debts from those who were in government positions before them, and so when borrowing occurs, we are basically spending money at the expense of future generations which will have to pay this debt off. Because of this implication, borrowing will only be seen as justified when it is done in relation to capital investments which are expected to yield a return which will 'set off' the incurred debt. Taxes are compulsory payments which go to the government, and as we said before -- make up the largest share of government revenue. There are three different types of taxes which each their own sub-categories: 1) Direct and Indirect Taxes, 2) General and Selective Taxes and 3) Progressive, Regressive and Regressive Taxes. 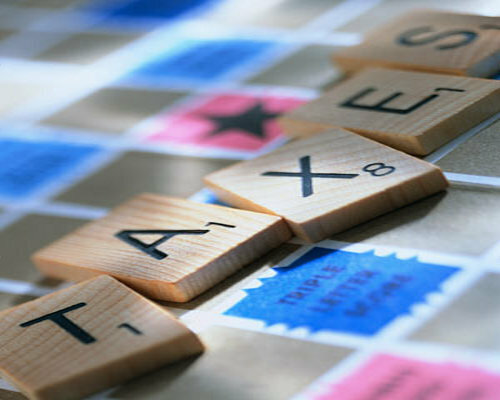 Direct taxes are also sometimes referred to as taxes on income and wealth. Direct taxes are levied on 'persons' (companies can also constitute as 'persons'). This tax includes personal income tax, estate duty and company tax. Indirect taxes on the other hand, are levied upon transactions and are usually paid by those who will be consuming the good or service in question. VAT, customs, and excise duties are examples of indirect taxes. While for instance VAT is an indirect tax it is also a general tax. It is a general tax because it is levied on most goods and services. Excise duties are also an indirect tax, but can further be classified as being a selective tax since it is levied on specific goods only (eg. Fuel, alcohol, tobacco). We can differentiate between progressive, proportional and regressive taxes based on the ratio of tax paid to taxable income. A progressive tax is a tax where the ratio of tax paid to taxable income increases as taxable income increases. This implies that people with higher incomes will pay a larger percentage of their income than those people with low(er) incomes. A regressive tax is a tax where the ratio between tax paid and taxable income decreases as taxable income increases. In this case, a larger percentage of the low-income people will be taken than those with higher incomes. This usually happens with indirect taxes such as VAT.